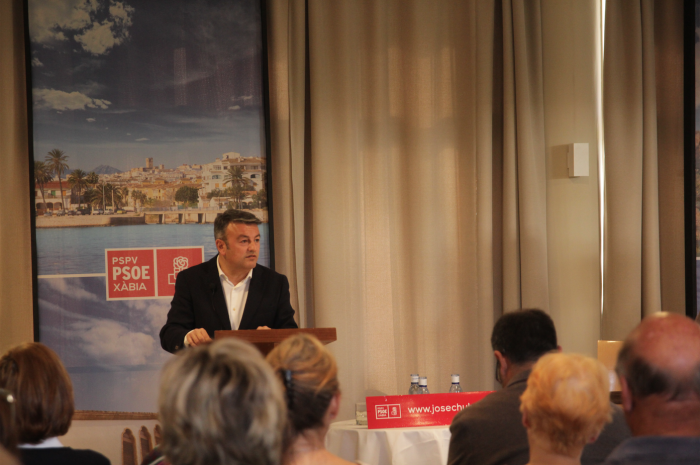 The Mayor of Xàbia and PSPV-PSOE candidate for re-election met with about 200 foreign residents in the Parador. Under the slogan ‘Achievements and Future,’ he reviewed the local government’s achievements during this legislature and the challenges of the future. The talk was conducted entirely in English. The president of the party George Thomas chaired the meeting together with the Councillor for Environment, Doris Courcelles. In the section on achievements, the mayor went over some of the highlights of this legislature, such as the creation of the Citizens Advice Bureau (OAC), the Port library, the improvement to 40 kms of streets and roads, the re-asphalting plans, the new bus station, improvements in urban areas, the transformation of the Arenal promenade, the renovations to the Central Cinema, the repairs to the windmills on La Plana, and the Riurau de Arnauda, launching the Gastroxabia restaurant brand, and the healthy state and finances of the municipal water company AMJASA, among others. An important part of the talk was devoted to the need to “grow in respect for our natural heritage” and to opt for small urban improvements and practical, sensible up-grades that benefit people rather than large projects that threaten the sustainability of the territory. 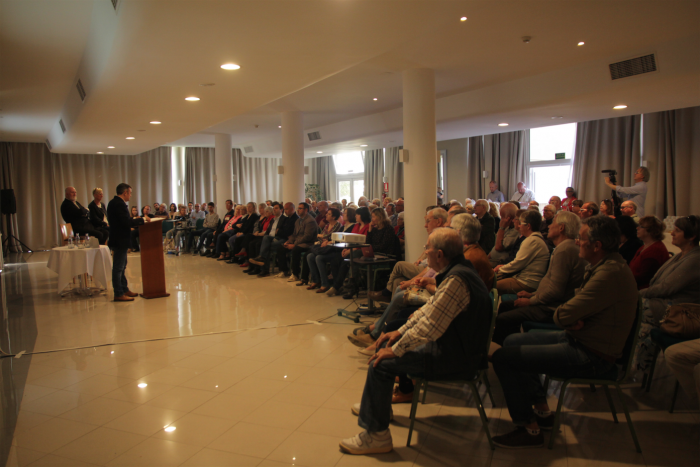 José Chulvi explained his role as a PSPV-PSOE member of the Alicante Provincial Government and his part in defending the interests of the Marina Alta; and that Xàbia, through his efforts has received more than 2 million euros in aid.